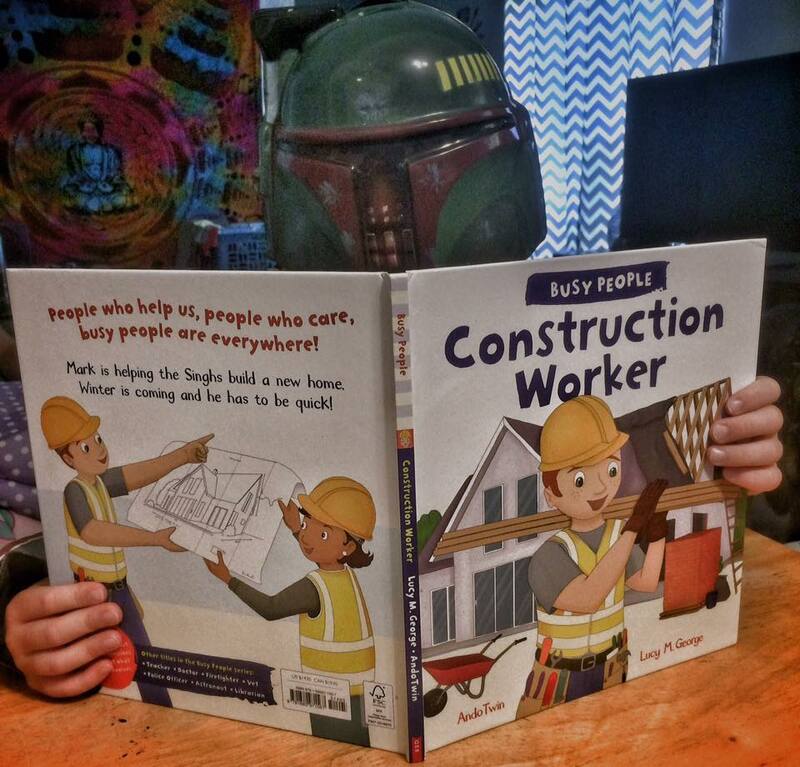 Step inside the life of a Builder! The story focuses on the busy day to day life of a Builder as he goes about their daily work. Each day holds a new challenge in the exciting life of a Builder. Next Steps are included at the back of the book to prompt further discussion and develop vocabulary. More information is provided about the Busy People and the type of equipment they need as well as the characters that work alongside them. Who are the Busy People? Busy People are the people who help us, people who care, busy people are everywhere around us. You see busy people teaching our children, helping us feel better, making sure we are safe and helping us check out books. There are busy people all around us. This a great book to learn about the profession around us and how they are helping you every day. 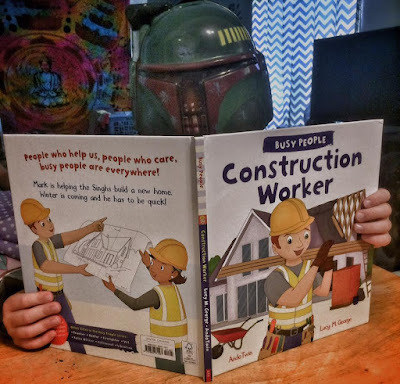 Busy People Construction Worker is a great children's book from Quarto Knows exploring the life of a builder. 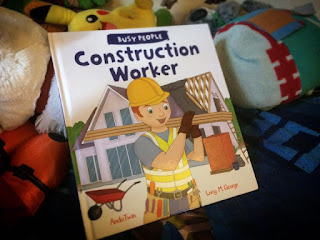 This book goes into the daily life of a construction worker, exploring the challenges that may come. In this book, Mark is helping a family build an extension to their home with many of his friends with different professions. He calls in friends with big construction vehicles and trucks to dig a spot to start building. Once the frame and walls are included he has to call in more of his friends for jobs including electrical, plumbing, and even painting. The book is full of colorful and fun art work on each page to hold your children's attention. There are only a few sentences on each page, which my child loves because he wants to see what happens next very quickly. 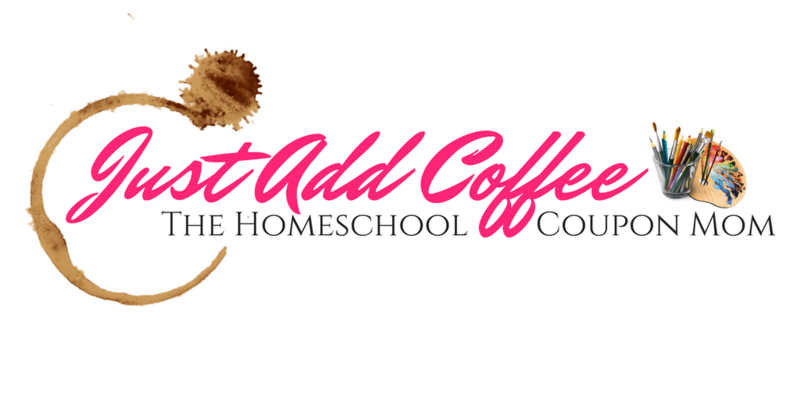 At the end of the book, you can have a further discussion while helping develop vocabulary in your child with a section called what does Mark needs to do his job?. I love the very last page in the book. This page includes five questions or discussion sentences that you can use to make your little one really think about the story that they just read.